Embrace Spring with this John Masters Organics hair care trio, infused with organic honey and hibiscus flower extracts that revitalize hair and brings it back to its natural vitality – much like the blossoming of Spring itself. Rehab hair with the Shampoo for Damaged Hair with Honey & Hibiscus, a silken formula with a coconut-based foaming agent to build fortitude and resilience from the root – and staving off future damage. 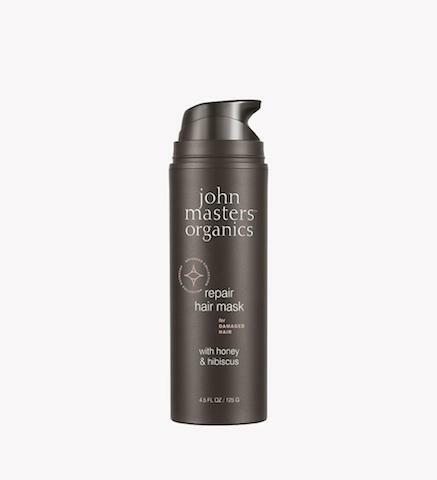 The John Masters Conditioner for Damaged Hair with Honey & Hibiscus coats hair with essential nutrients and serves as a natural humectant. Rife with amino acids, this can be left of for several minutes for extra hair care TLC and used daily. The Hair Mask for Damaged Hair with Honey & Hibiscus is basically intensive care for hair in a bottle. Also chock full of organic honey & hibiscus flower extract, it contains hyaluronic acid and beeswax, which are both powerful humectants. Use weekly to soften your mane and add Spring shine. https://johnmasters.com/collections/hair-care and your favorite hair salons. Jay Manuel Is in the Hot Seat!